This T-Bar Slide works by being snapped onto a ceiling tile to pull cables over the ceiling grid. 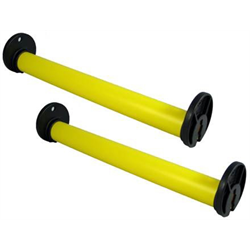 It is a low cost product that makes pulling cables over plenums easy, saving time and aggravation. Simply snap one TSlide (sold in pairs) onto a suspended ceiling tee and the start of the cable run and another at the end of the run. Once the two slides are in place, any type of cable, even armored cable with kinks, can be pulled easily. Using additional TSlides on long runs will make the job even easier. Using the TSlide puts an end to damaged ceiling tees and changes the job from a two-man task to a one-man job. 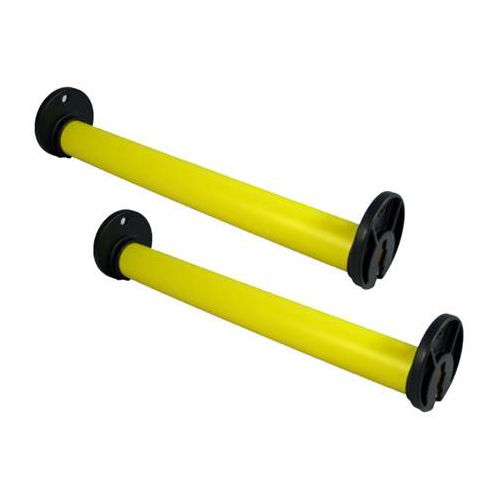 Designed to snap on and off ceiling tees easily, it is a high visibility yellow colour so you will remember to remove it again once the job is complete.